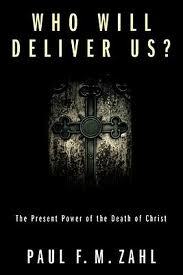 “What is the present value of the death of Christ? How can something that happened long ago meet the judgment that afflicts us now? We have proposed that the problem of being human is essentially a factor of fear. We live our lives under judgment. Whether it is for wrongdoing in a conscious mode or the pervasive, irrational, multiform fear that we are worthless and no good, we live our lives under judgment…. I believe in the atonement of Jesus Christ because it disarms the law and frees me from the fear of judgment. This judgment would use as evidence against me not only the deliberate sins and conscious moral failures of which I feel most painfully aware, but also the compulsive patterns and imprisoning proclivities the origin of which I scarcely know except they feel like the flesh of my flesh. I have often felt judgment not as the condemnation of things about me I can help, but condemnation of my very self and character…. I believe in the atonement. The law is powerless: Christ’s death has disarmed it. ‘Thanks be to God through Jesus Christ our Lord! '” (38-43). Many pastors (who are not Calvinists at all) like to say to people who are still legalists: some of you didn’t know the motives and how reconciliation worked, but you were already reconciled. The elect have already been judged at the cross; everybody else will be judged, since all will be judged. But not all who were judged at the cross have been “baptized into that death” yet by God’s legal imputation. Since this is so, we should NOT talk to people assuming that they are Christians even though they don’t know the gospel yet. To those who are still ignorant of the gospel, we don’t talk only about gratitude and freedom. Yes, we tell them that those for whom Christ died are thankful and free and pleasing to God. But we also tell them: if you don’t know the gospel and believe it yet, then you should be shut up to nothing but legal fear. I do not want to preach terror to Christians. But we must not assume that people are Christians. Do we address the people in church as if we are all elect, who have been believing some form of the gospel all along? “Close as in horseshoes”? Or do we say: some or all of you may need to be reconciled. Nobody is born reconciled. Let’s not presume. Let’s not beg the question.